OK, we’re becoming a resilient city — but what does ‘resilience’ really mean? It’s good news that New Orleans is one of the 52 cities that have signed the so-called “10 percent Resilience Pledge.” It means that we have vowed to commit 10 percent of our city’s annual budget to “defined, resilience-building activities.” We are already designated one of the Rockefeller Foundation’s 100 Resilient Cities, so now we appear to be putting our money where our mouth is. We are prioritizing resilience. But what does that mean? As someone who has studied “resilience” for years, I have a concern — widely shared, I suspect — that we are all a bit confused by this overworked word. It appears everywhere. We are told to raise resilient children, to become resilient communities, a resilient country and, Ban Ki-Moon, the Secretary of the United Nations, encourages us to become part of a resilient world. A quick search for scholarly articles on “community resilience” yields over 14 million results – so clearly this is as hot a topic in academia as in politics. Much of the research is based on the proposition that some communities are more resilient than others, as are some social groupings or neighborhoods within those communities. Therein lies the rub. Some in our community are more resilient because of structural benefits that are denied to others, such as access to quality education, effective transportation, affordable housing and a fair and equitable criminal justice system. This is New Orleans’ greatest challenge, and as a lifelong New Orleanian, I know that we don’t always dig as deeply as we should in confronting it. Our ability to increase our resilience lies in our ability to fully engage in addressing these structural challenges. We have to be willing to go beyond individual resiliency projects to address structural challenges when we pledge our 10 percent. In other words, it’s not enough to just add bike paths to our streets. We need to implement a transportation system with reliable bus service, bike-share programs, and other transportation-friendly solutions that prioritize communities with high numbers of people who don’t have cars. It means institutionalizing programs, such as pre-trial diversion, that have proven to be effective in keeping our jail population smaller without sacrificing community safety. It would be a shame if it took another major hurricane for us to fully realize that we must do more than build strong levees and powerful pumping stations. Jeff Hebert, the City’s Resiliency Officer, has led the preliminary development of our resiliency strategies. The big headings of New Orleans’ plan are strong and robust enough to encourage tackling deep structural issues, and Hebert has made clear that he is seriously interested in hearing from community members about how we might be successful. If we can pull off most of this plan, we will be an international model of resiliency. But let’s not wait for 100-percent optimization of this vision. Along the way to these big changes, there is important and impactful work to be done. In the process of implementing our Urban Water Plan, we should require water- retention strategies on all of our city-built facilities. For example, we are spending nearly $200 million* on new New Orleans Recreation Development Commission infrastructure (and even more on schools and libraries). Not requiring that these public assets include state-of-the-art water management strategies would be an opportunity missed. Clearly one of our biggest structural challenges is affordable housing — especially in gentrifying communities. Let’s develop property tax policies that support retention of low-income tenants who might otherwise be forced out. Other communities have done this and could provide lessons as we develop our policies. Let’s embrace the health of our community — both socially and physically — as a priority in all our planning. To that end, the National Academies’ Institute of Medicine has developed guideposts we would do well to make a central tenet of municipal policy. The IOM defines healthy communities broadly, as those in which a diverse group of stakeholders collaborate to ensure that they are safe, economically secure and environmentally sound. Among other things, it’s a way to leverage billions of dollars in disaster-planning and recovery money towards building back a healthier community. But even after Katrina, our pursuit of this goal is inconsistent and intermittent. For example, in the early going, disaster recovery spawned a proliferation of wellness-based community clinics. But though they are at least as important to the future healthfulness of the city as the giant hospital complex going up along Canal Street, they have been allowed largely to die out. It would be a shame if it takes recovery from another disaster before we realize that neighborhood-based clinics facilitate access to health care and healthier communities. To cite another example of deep change, it would be a shame if it took another major hurricane for us to fully realize that we must do more than build strong levees and powerful pumping stations. We also need to learn, as the Dutch have, to live with water not just fight against it. We need more absorbent landscapes and building practices that connect with water as an enhancement of our lifestyle, not just a threat to it. On a positive note, the city’s passage of a living-wage ordinance for larger city contracts recognizes the impact of poverty on resilience and moves towards improving the insupportable situation where full-time workers can’t pay basic bills. So, back to the 10-percent Pledge. Great that we are signing up – but let’s also be clear about the inequities that diminish our city’s resilience. And in response, let’s make a new year’s resolution to engage a broad swath of community members in designing and implementing strategies that will address the need for deeper changes. 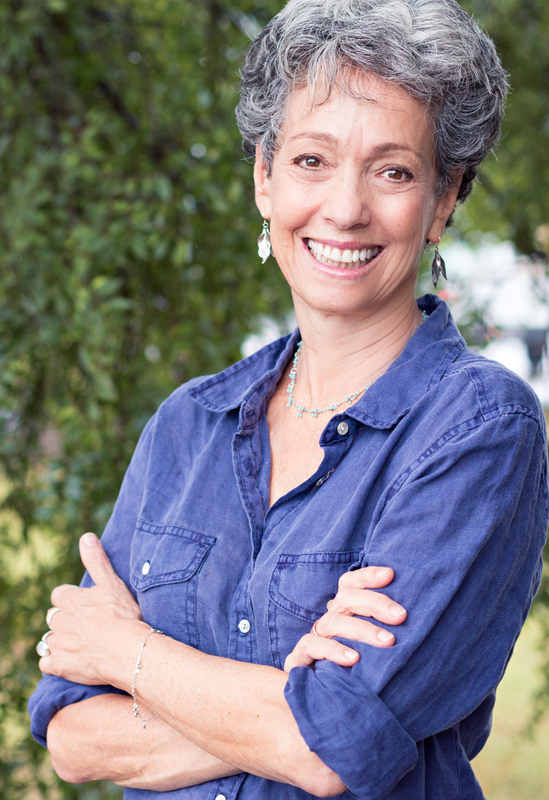 Linda Usdin, DrPH, is a native New Orleanian who works in the philanthropic and nonprofit sector to facilitate large-scale community change and equity. *Correction: An earlier version of this column stated incorrectly that NORDC spending was expected to top $300 million.